Australia is no stranger to extreme weather conditions. Floods, droughts and wildfires are all part of life here. Droughts, in particular, are a very real problem in rural Australia. Farmers are hit the hardest, as their livelihood depends on having a regular water supply to keep their crops and cattle healthy and thriving. Our quality Concrete Storage Tanks are the ideal solution for those who live in drought-affected areas. Apart from rural regions, more and more urban homeowners are opting to install concrete water tanks to supplement their water and reduce their utility bills. 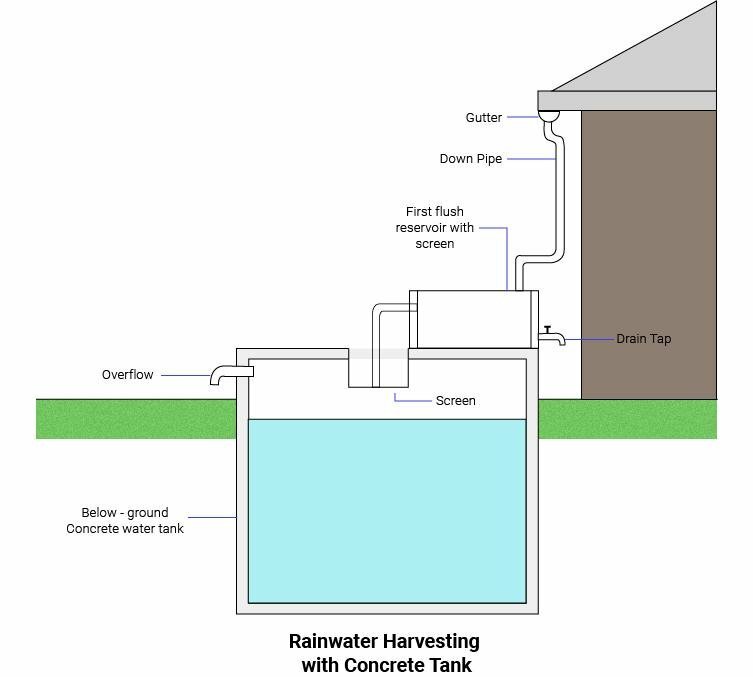 By installing a simple and inexpensive rainwater harvesting system, one can redirect water from the roof to an underground concrete tank. The stored water can then be used for laundry, gardening and for flushing the toilets. On average, a 100 m² roof can yield up to 55,000 litres of water. That’s an impressive figure. Unlike plastic or fibreglass water tanks that require to be installed above ground, Concrete Water Tanks can be installed underground, thereby helping you save space. When there’s a space constraint, you can have an underground concrete tank installed, with a load bearing top that can double up as a garage floor. If you live in a bushfire prone area, then a domestic concrete tank is the safest option for you. Unlike plastic tanks that melt when they come into contact with fire, our domestic tanks are non-combustible and so will not emit any toxic fumes or smoke in the event of an accidental fire or bushfire. Not only will concrete water tanks keep the water cooler, since they are not susceptible to algae growth, the water will also remain free of contaminants. Concrete Storage Tanks are also known for their ability to reduce the acidity of the water, making it healthier. At Bega Tanks, We offer 25 years guaranty for our Tanks, so you know they will last longer. Since they’re very durable, there is a lesser chance of damage such as cracks and other issues coming up. Depending on your needs, we have tanks with capacities ranging from 15,000 to 523,000 litres. So, whether you want a tank for your house, your farm or for some other Commercial Tank or industrial purpose, we have just the one for you.